Grow your people. Grow your capability. Grow your business. As companies face ever more uncertainty and change, having talented managers and leaders who can ‘see the big picture’ and make things happen, is paramount. Disruptive technologies such as the internet of things, sensors, big data, new materials and 3D printing are coming thick and fast. As these new technologies emerge with unprecedented rapidity there is a growing recognition that scientists, engineers and technologists need to be right at the heart of the business, helping to lead it into a new digital era. To do this, they need the right blend of capabilities and attributes. They also need to be a good ‘cultural fit’. Which is why successful companies choose to develop their talent from within. How can IfM ECS help your organisation? We run highly customised talent and capability development programmes which develop the skills, knowledge and behaviours your people need to ensure the business meets its goals. We work closely with you to understand your distinct business needs and together develop a programme which meets them, using the Kirkpatrick Business Partnership Model. We also offer a range of bespoke short courses and workshops which extend your capabilities in key areas of IfM expertise. These can be customised and run in-company or you can join one of our open courses run at set times during the year. What’s different about our professional development? We understand your business: we work with some of the world’s leading manufacturing and technology companies so we appreciate both your challenges and opportunities – and how having good people is critical to your success. We know about manufacturing and technology. We understand how products are designed and made and services delivered, how to manage innovation and technology, how to run factories and how to design and manage global supply chains. We are education specialists: we use formal, social and active learning to pass on knowledge, create networks and support on-the-job learning. We work in partnership: every client is different and we work with each of them to develop a programme that is right for them – and is attuned to their organisational culture and values. Fantastic learning experience. I feel privileged to have had the opportunity to attend this programme. I can honestly say that having completed the course will make me a better leader. 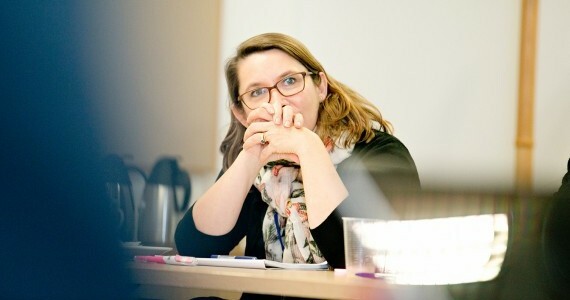 Cambridge provides an inspirational setting for executive and professional development. Learning takes place at the IfM or in modern, purpose-built conference centres, lecture theatres and seminar rooms with dinners and evening events often held in historic Cambridge colleges. IfM ECS' won a Silver Award at the EFMD Excellence in Practice Awards in 2018. The award recognises the work between Atos, the IfM and Paderborn University and is an excellent example of an outstanding and impactful L&D partnership on the Gold for Experts (now Gold for Technology Leaders) programme. You interested me, you challenged me, you surprised me. Developing technology experts as leaders [Article]: Find out how IfM’s Executive & Professional Development (EPD) team, in partnership with Atos and Paderborn University, has developed an award-winning programme to develop technology experts as business leaders. 'Gold for Experts' - what makes the programme unique? [Webinar]: Dr Judith Shawcross and colleagues from Atos and Paderborn University talk about the award-winning 'Gold for Experts' programme. Seeing the bigger picture [Article]: How experts at Atos are becoming 'trusted advisors'. IfM Education and Consultancy Services (IfM ECS) has developed a bespoke executive education programme for IT experts at the global technology company, Atos.